For those who love The Legend of Zelda Ocarina of Time, here are some the great features you can have when playing this marvelous game. When you’re a kid, go to the graveyard in Kakariko and wait for night. Pull back the tombstones that have flowers in front of them and go down. There is a treasure chest inside contained Hylian Shield. Fill your bottles with fish located behind the old lady’s potion shop in Kakariko then sell them to the beggar that will buy each fish for 100 rupees. Repeat this process as many times as you wish. This trick works best when you have the Giant’s Wallet and are able to carry a maximum of 500 rupees at a time. Go to the fishing pond, when you are a kid, and start fishing. Keep fishing until you get a fish that’s big enough to earn a heart piece. Then, go into the middle of the pond, face towards the owner in the water and hold lock and shield (Z + R). Swim and talk to him while pressing Z and R. The owner, instead of a heart piece, will give you the GOLDEN SCALE. This trick works once you’ve already sold the Keaton mask to the guard outside of Death Mountain. To get Skull mask, first you can ask to borrow the Keaton mask again for free. Leave the shop, go back in, and ask to trade masks. Then you can trade the Keaton mask for the Skull mask for free ! You’ll still have all your money, although it seems you have to give him some cash. This trick also works for the Rabbit hood and the Spooky mask as long as you sold the masks before you trade them. You will encounter a giant version of monster if you continuosly kill the same type monster. At least this works on Leevers, Guays, and Stalchildren. Where there are zombies, play the sun song. This will freeze them and you can finish them off easier since they won’t attack you. This trick will make the fish you catch with the Sinking Lure be legal, as if you had caught them without it. After getting the Sinking Lure, go to the fisherman and say to him “Let’s talk about something else”. He will then allow you to use the Sinking Lure, and the fish you catch with it will be legal. Each time you come back, you still will need to find the Sinking Lure. There are some cool prizes or rewards you can get in Legend of Zelda Ocarina of Time. But you have to know how to unlock them first before you can use them. How to unlock : Shoot the sun after the Water Temple. How to unlock : Complete the Gerudo Training Ground. How to unlock : Beat all the temples and then talk to Shiek. You have to beat the race at Lon Lon ranch for Epona. Then race again until you get the best time (49 seconds or below) to unlock the cow inside your tree house. You have to kill Skulltulas Spiders and collect the tokens, then go to the Skulltula House in Kakariko to get the prizes. There they are, some great stuff you might find in The Legend of Zelda Ocarina of Time. Hopefully those features can be useful during your adventure. 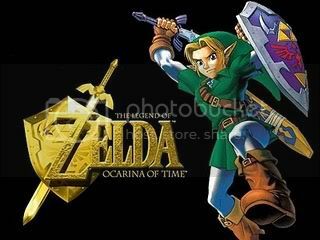 This entry was posted in Best Video Games, Cheats, Nintendo and tagged cheats for legend of zelda ocarina of time, legend of zelda cheats, legend of zelda ocarina of time, legend of zelda ocarina of time cheats. Bookmark the permalink.